The nitrogen in our non-odorous, liquid fish fertilizer is derived from fish protein in the form of amino acids which when added to the soil, slowly break down into basic nitrogen compounds. 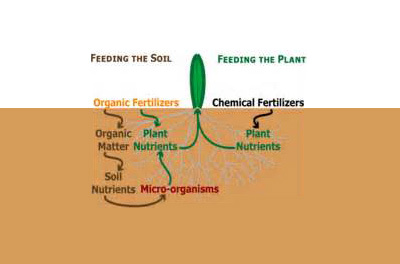 Why do we use Organic Fertilizer? After WWII the technology used to make bombs was turned into agricultural profits in the way of synthetic nitrogen. The continued application of only concentrated chemicals on the soil have sterilized much of the biological life that contributes to the efficient utilization of many natural plant nutrients. Meaning plants become dependent on synthetic inputs for their survival. 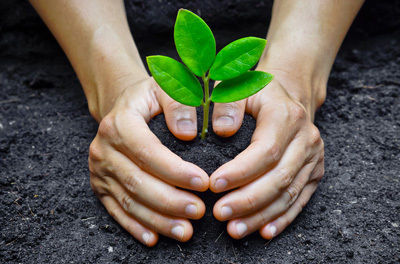 Our fertilizer formula does no biological damage to the soil and will promote the growth of beneficial bacteria making the soil less compact and better able to drain, yet hold moisture better for future plant use as it is needed. Also the vitamins, amino acids, enzymes, and growth hormones added aides in the living environment of the soil. The plants can handle all the environmental stresses of drought, soaking rains, frigid cold and disease many multiples better than synthetic feed plants. These are valuable money saving benefits.